Buy Bramik Bombay Mix - 200 grams in the UK from our online shop or directly from our independent Scottish store. Tasty gluten free and vegan bombay mix. Ideal as an afternoon snack. Low in calories. We sell real Bramik and other Savoury Snacks directly from our shop in Scotland and online throughout the UK. View more products from Bramik. Where can you buy real Bombay Mix 200g safely online? If you are wondering where you can buy Bramik Bombay Mix - 200 grams safely online in the UK, then shop with us. 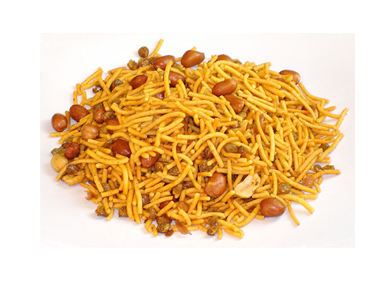 Bombay Mix 200g - Bramik Bombay Mix - 200 grams in Savoury Snacks and Foods.